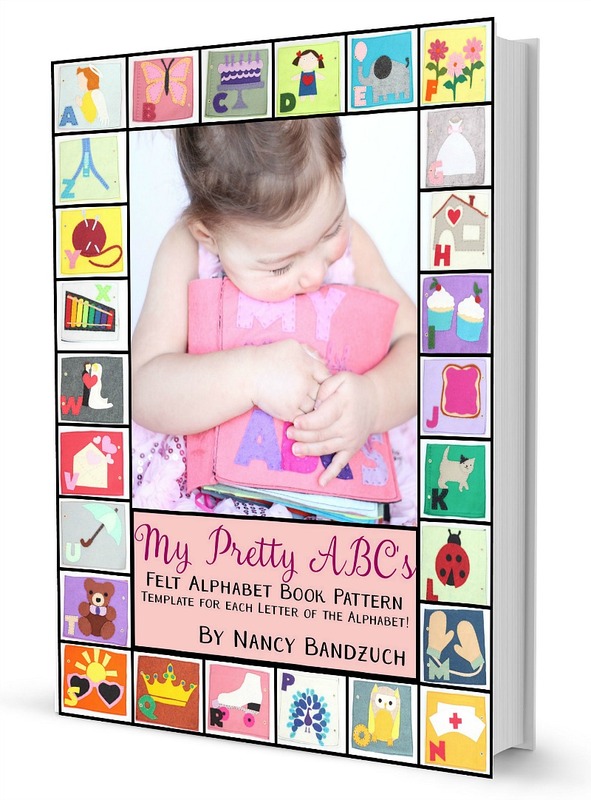 My Pretty ABC’s is a pattern for a Felt Alphabet Book the special girl in your life will love. Included in the pattern are detailed instructions and 26 unique and to-scale patterns which will help you easily complete this book. For more info, head here. 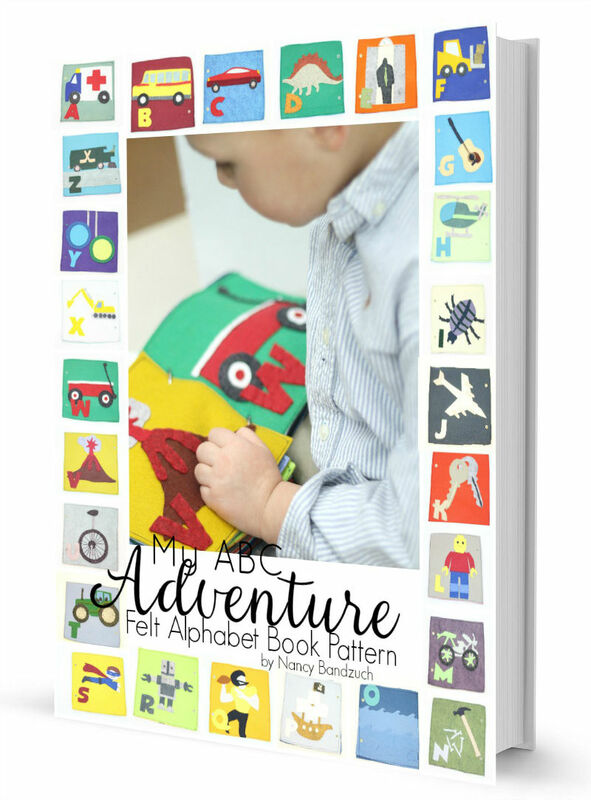 My ABC Adventure is a boy-themed alphabet book pattern. It comes with 28 to-scale templates, detailed instructions and lots of photos to help you along the way. For more info and a closer look at each page, head HERE. For more felt patterns, be sure to check out the main pattern shop page.